Obituary for Bonnie Ann (Ball) Elzey | Thomas Funeral Home P.A. 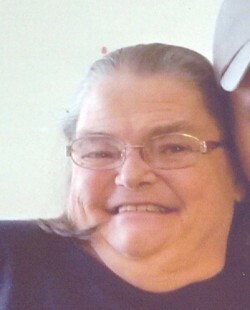 Bonnie A. Elzey, 72, of Cambridge passed away on Sunday, December 2, 2018 at Mallard Bay Care Center. She was born in Cambridge on November 23, 1946 and was a daughter of the late Floyd E. and A. Louise Dodson Ball. Bonnie graduated from Cambridge High School class of 1965. She married the late “Happy” Johnny Elzey. Early on, Bonnie worked at Glasgow Nursing Home and then worked several years at Airpax. She volunteered at the Salvation Thrift Shop in Cambridge. Bonnie was an avid fan of the New England Patriots and loved Tom Brady. She also enjoyed playing cards, playing bingo, and loved spending time with her family and friends. She had a strong faith in God. She was an honorable member of the VFW and The American Legion in Cambridge. She is survived by a son Scott Lewis (Patricia) of LaGrange ,Georgia, two grandchildren Madison and Alexis Lewis, a special niece Teresa Forney (Trina) of Delmar, MD, a great niece Scarlett Forney and several nieces and nephews. Besides her parents and her husband, Bonnie was preceded in death by her loving sister Mary Hughes and a nephew Rodney Webb, Jr. The family would like to thank the staff and her friends at Mallard Bay Care Center for taking care of Bonnie throughout her stay. In keeping with Bonnie's wishes, there will be no funeral service. In lieu of flowers, memorial contributions can be made to the American Diabetes Association, 1701 North Beauregard St., Alexandria, VA 22311. Arrangements are in the care of the Thomas Funeral Home, P.A. in Cambridge.